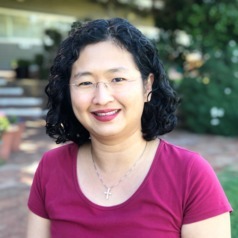 Rachel Ong ViforJ is Professor of Economics at the School of Economics and Finance, Curtin University. Rachel’s research addresses a range of important housing policy issues, including housing affordability dynamics, housing pathways in the new millennium, housing wealth as an asset base for welfare, intergenerational housing concerns, and the links between housing and the economy. She has long-standing expertise in the evaluation of housing tax-transfer reforms. Rachel also has an established research record in the area of population ageing and has conducted extensive research into the role of home ownership within the retirement incomes system, employment decisions of older workers, and workforce vulnerabilities in mid-to-late life. Rachel has been appointed to several expert panels including the National Economic Panel. She is a Member of the Steering Committee of the Asia-Pacific Network for Housing Research. She is currently Editor-in-Chief of the Economic Papers, one of two journals published by the Economic Society of Australia which features high-quality research in applied economics and economic policy analysis.